A LOCAL leader of a biggest tribe near Mt Hagen has condemned shop owners in the city for non observance of public holidays. 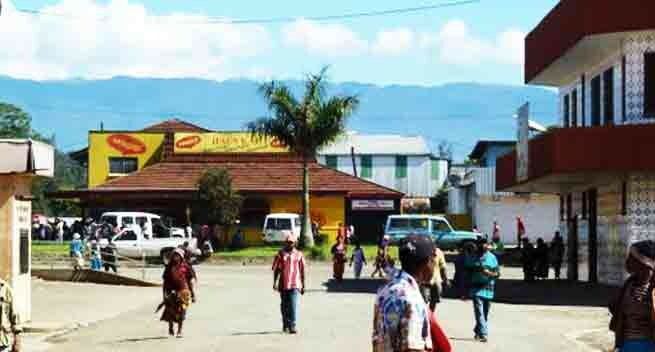 During the eve of the Independence Day last Friday, doors of some shops in Mt Hagen City were still open during the public holiday with their local workers who deserve to take leave during the holidays. Moge Adagelimb Chief, John Barnabus said it was commonly understood that many of the shops opened during the public holidays were of Asian origin but on Friday September 16 many local shops were also opened while the rest of the country was celebrating the independence anniversary. Mr Barnabus cited this during the Independence Day and called for companies to close their shops in respect of public holidays and release their workers to enjoy with family members to celebrate the national events in the future. He understood it has been happening for a while and urged the shops to observe the national events and abide by laws of this nation. During the National Prayer and Repentance Day, opposition leader, Don Polye has called on police and other responsible authorities to ensure these shops comply with public holidays. Mr Polye said they must also participate in some forms of activities to celebrate the national events of the country. He said if these shops are still opening, that means someone is not doing his or her job to crack down on such disobediences.